Preheat oven to 200°C. Place the cauliflower and garlic on a large tray lined with non-stick baking paper. Drizzle with 2 tablespoons of the oil and sprinkle with the salt and pepper. 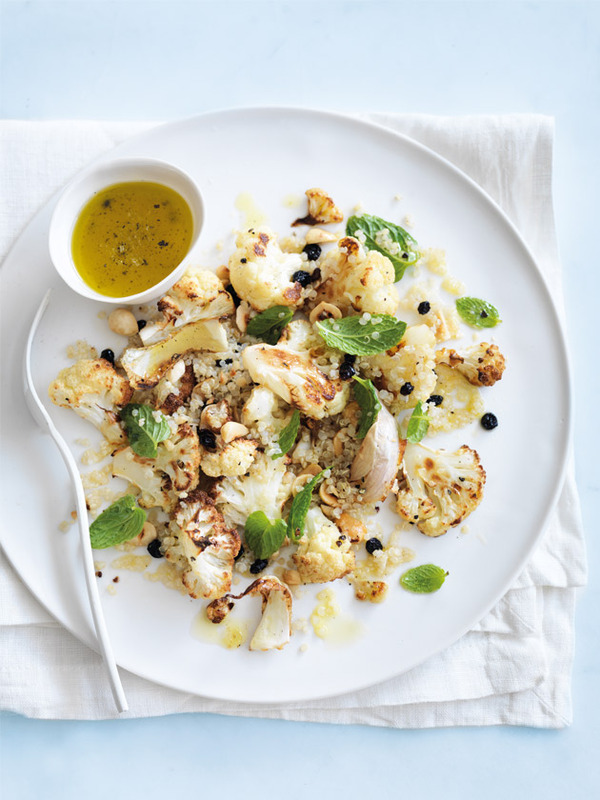 Roast for 20 minutes or until the cauliflower is golden brown and cooked through.